RAW HOLLYWOOD : REMIX: SEVYN STREETER, SIYA, LYRICA ANDERSON, DREEZY & NICKI MINAJ "DO YOU MIND"
REMIX: SEVYN STREETER, SIYA, LYRICA ANDERSON, DREEZY & NICKI MINAJ "DO YOU MIND"
DJ Carisma is representing for the ladies by producing a remix to DJ Khaled's got record "Do You Mind". Boasting female artists Siya, Dreezy, Lyrica Anderson & Sevyn Streeter. Carisma leaves Nicki Minaj's original version in tact while the ladies ups the anty of straight up sexual appeal. 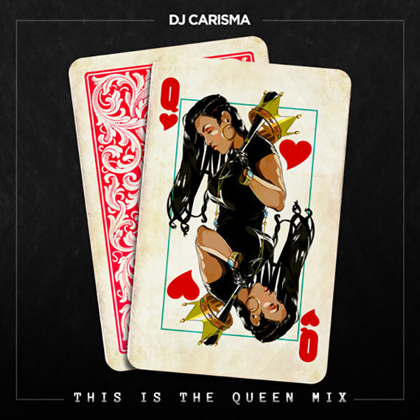 The blazing remix is apart of DJ Carisma's mixtape The Queen Mix which features 5 tracks. The project features Mila J who remixed "Girlfriend" by Kap G.